Congratulations! You made it through the first full week at work of the New Year last week and now it's back to the daily grind. 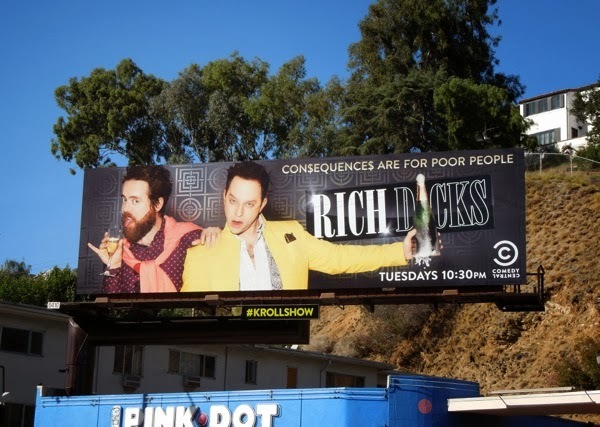 To make you smile and tickle your funny bone this Monday, here are some wonderfully witty billboards to start your working week with a chuckle, courtesy of The Kroll Show. Comedian Nick Kroll is back for a second season of outrageous characters and sketches, like 'Bobby Bottleservice', 'Dr. Armond', 'C-Czar' and many more. First up it's those self-entitled idiots we all love to hate, the Rich Dicks. These morons were born into a life of undeserved privilege and decadence, where money is not a problem, because daddy will always fix it. 'Aspen' and 'Wendy' (Jon Daly) are the obnoxious champagne swilling, pill-popping, powder-snorting duo who'll never have to grow up and get a job. Then there's everyone's favourite PR firm besties, Liz G. and Liz B. 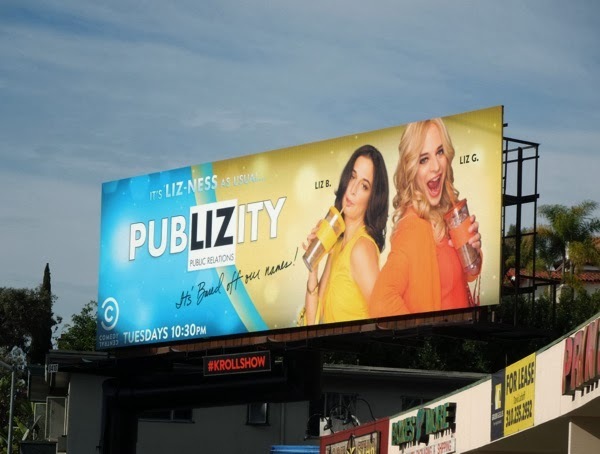 (Jenny Slate) from PubLIZity, it's based after their names don't you know. 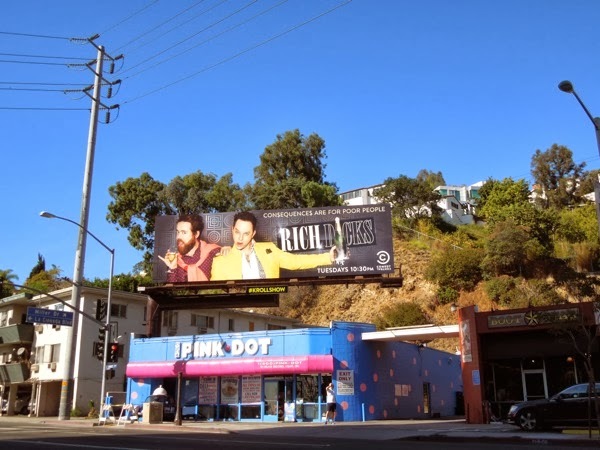 It's always helpful when billboards for a comedy show are genuinely funny and these season two ad creatives for The Kroll Show on Comedy Central are are a real riot. 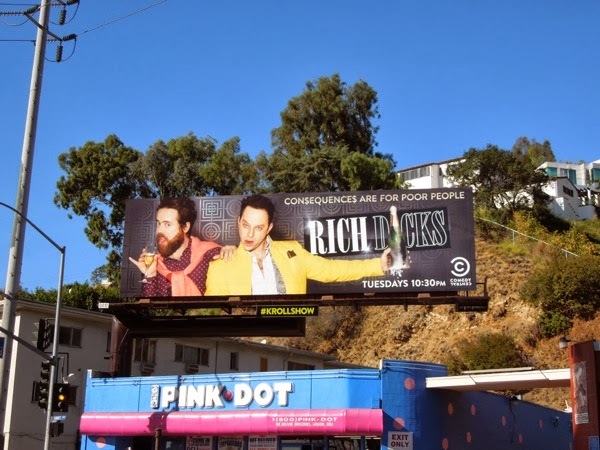 The 'Rich Dicks' billboard was snapped along Sunset Boulevard on December 30, 2013, whilst the 'PubLIZity' version was photographed a week later on January 7, 2014 in the same location at the top of La Cienega Boulevard in West Hollywood. 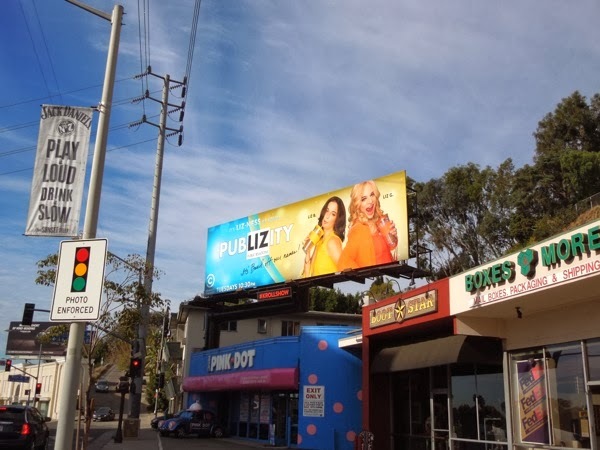 If you're a fan of the comedian, be sure to also check out these cool season one billboards for The Kroll Show, including the hilarious canine plastic surgery spoof billboard. Now it's Liz-ness as always for all you poor people that have to work. UPDATED: It looks like Comedy Central wasn't quite finished with its promotion for the second season of The Kroll Show, as a third character creative has appeared on January 13, 2014. 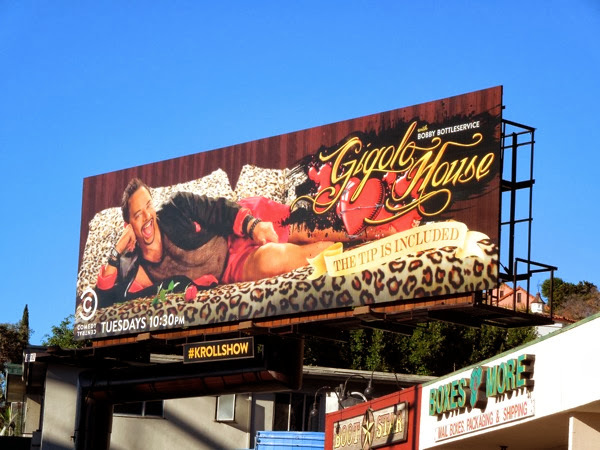 This 'Gigolo House' billboard features 'Bobby Bottleservice' and the innuendo-laden tagline 'The tip is included', which should certainly help perk up your day.